The Absecon Inlet's South Jetty marks the end of Atlantic City's beach at the north end. 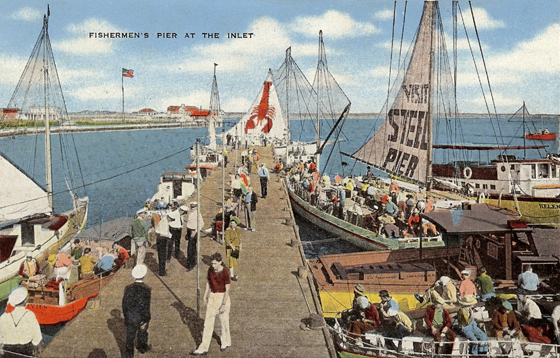 Before the jetty was built, the beach continued around seamlessly merging with the shore of the inlet. 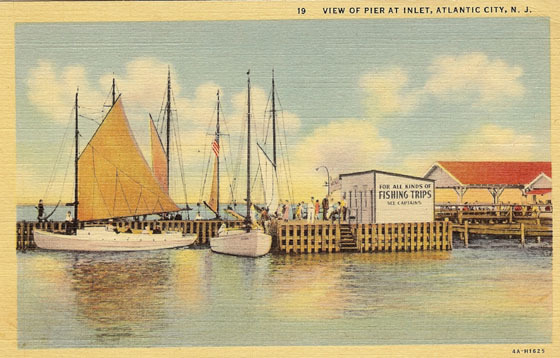 At the inlet there was a popular and busy "Yachting and Fishing Pier" that connected to the Boardwalk. 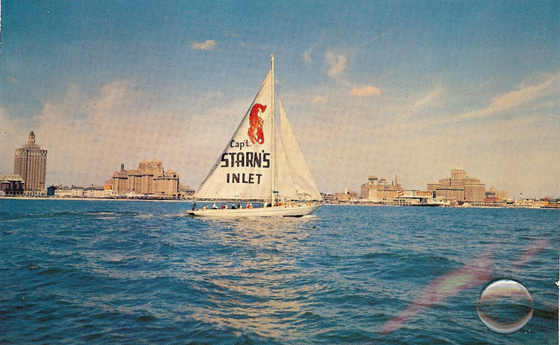 A little further back along the shore of the inlet were the then famous Captain Starn's and Hackneys seafood restaurants. 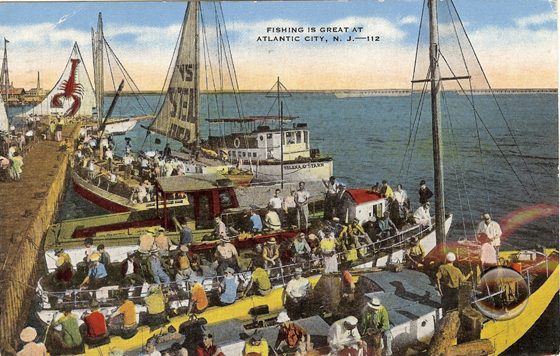 Postcard by P.C. Co. NY - from the collection of Thomas Topham. 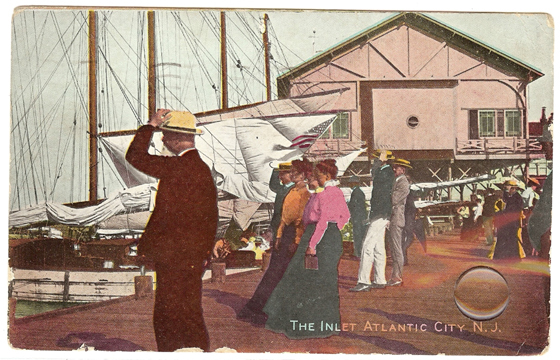 The Inlet Atlantic City, N.J. - 1907. Postcard by Illustrated Post Card Co. - from the collection of Thomas Topham. 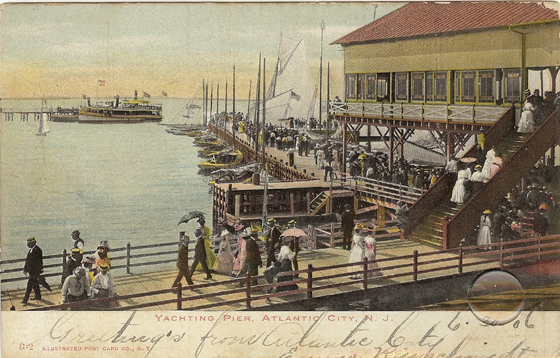 Atlantic City Yachting Pier - 1906. 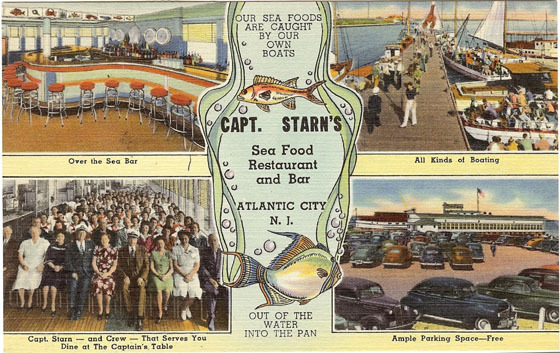 Postcard by Sithens Post Card Co. - from the collection of Thomas Topham. 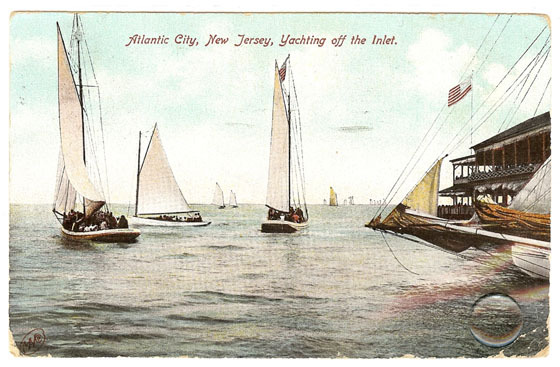 View of Atlantic City Yacht Club, Atlantic City N.J.
Postcard by Douglas Post Card Co. - from the collection of Thomas Topham. Postcard by The Metropolitan News Co. - from the collection of Thomas Topham. Postcard by KARDmaster - from the collection of Thomas Topham. Postcard by Jack Freeman - from the collection of Thomas Topham. Postcard by Jack Freeman. - from the collection of Thomas Topham. Postcard by KARDmasters - from the collection of Thomas Topham. 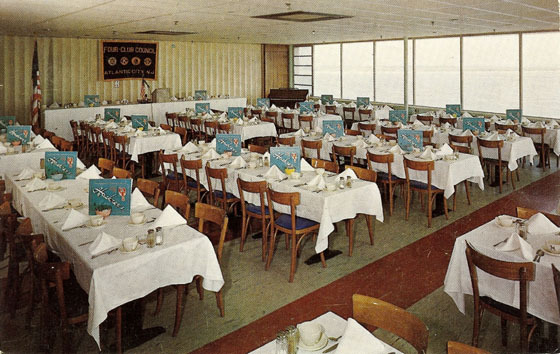 Hackney's restaurant was a big favorite, there was usually a line waiting to be seated. 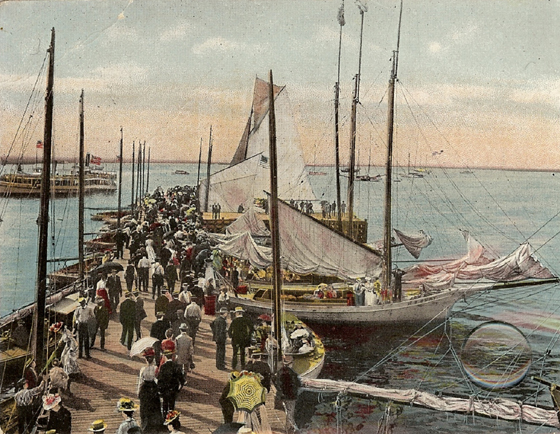 Postcard by E.C. Kropp Co. - from the collection of Thomas Topham. 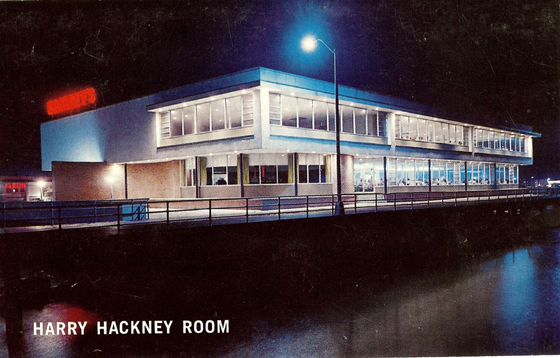 On the back of the postcard: The Harry Hackney Room, dedicated to the Founder of Hackney's, is often the setting for civic clubs and organizations plus many of the nation's great conventions. 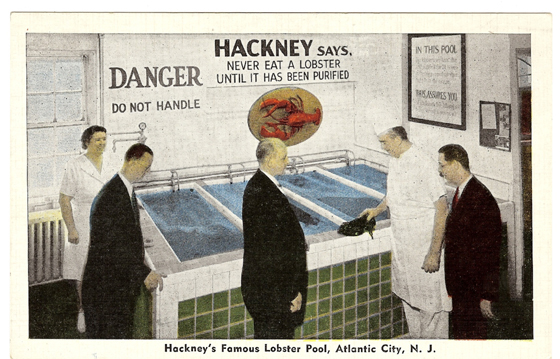 At Hackney's - you dine literally at sea.